← A Breathable Traditional Coating – – Lime Based “Whitewash”. Rust Jacking by Steel Spandrel Beams in Masonry Buildings. Penetration of moisture into exterior masonry walls to concealed steel beams bearing open spans (spandrels) can create a condition known as “rust jacking”, where the iron oxides forming on the beam expand, driving into the masonry above and further dislocating those masonry units, causing more water entry……etc, etc. To end this un-virtuous cycle, the iron beam must be exposed, cleaned (or replaced!) and waterproofed, and the surrounding masonry restored to its original stable and waterproof condition. 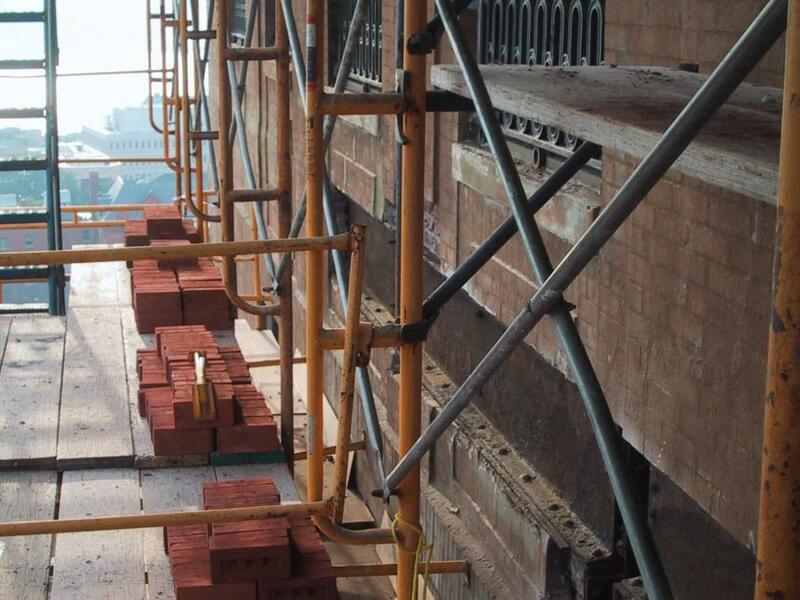 Loring and Son of New London, Connecticut are expert at steel spandrel restoration operations , as demonstrated by their work at the Mohican Hotel facade, in New London. 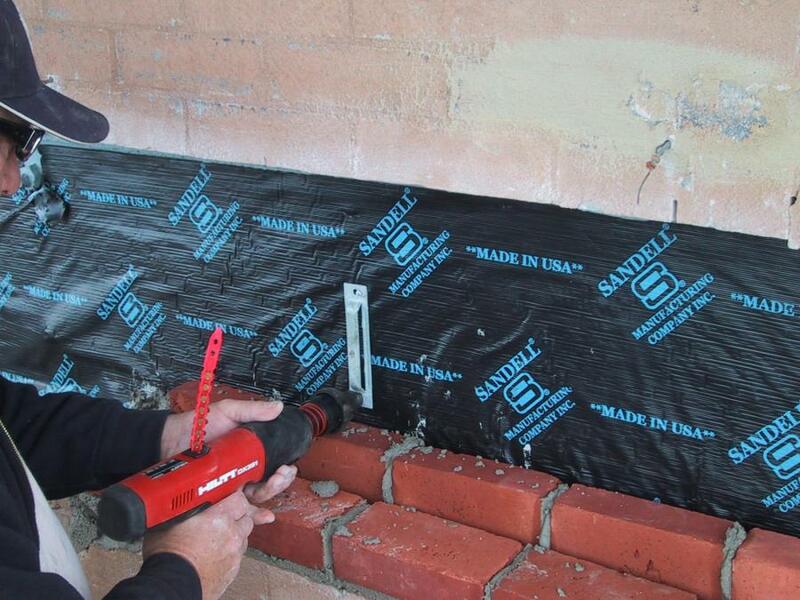 Installation of moisture protection for the steel before closing up the brickwork. This entry was posted in Masonry Restoration and tagged Connecticut. Bookmark the permalink.